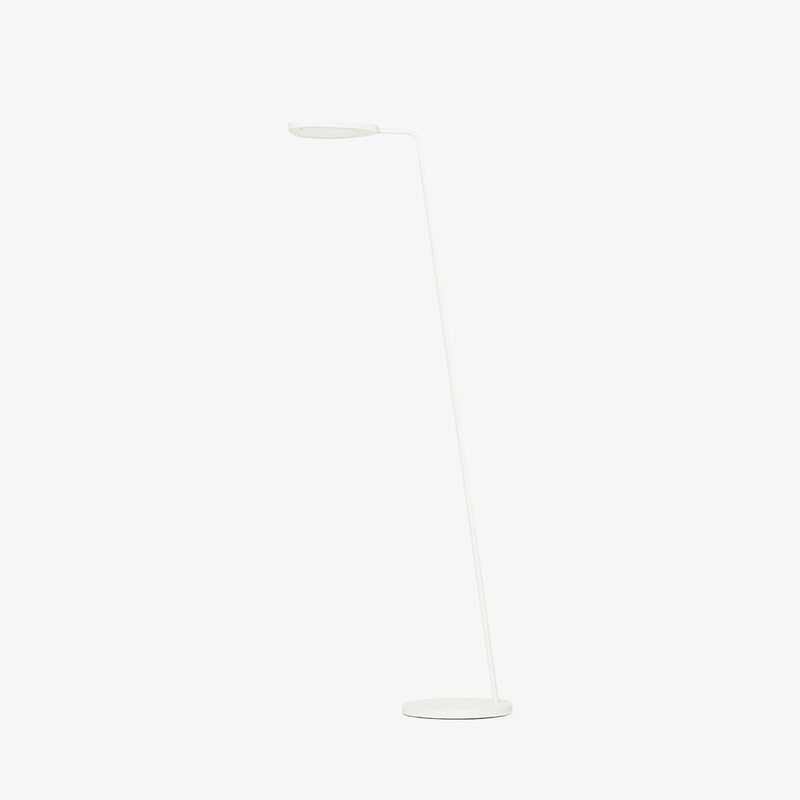 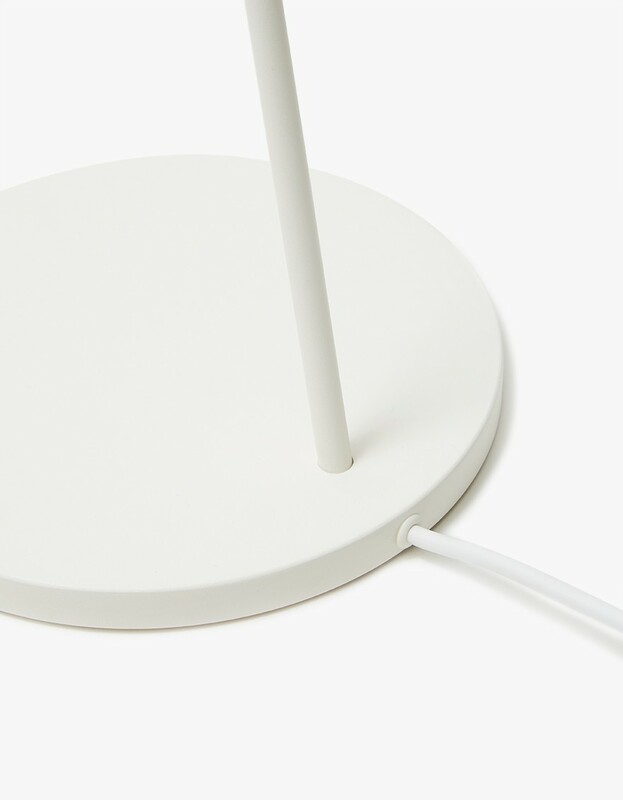 Leaf Floor Lamp is a timeless metal LED floor lamp made from turned and casted aluminum and steel, designed by Broberg & RidderstrÃ¥le for Muuto. 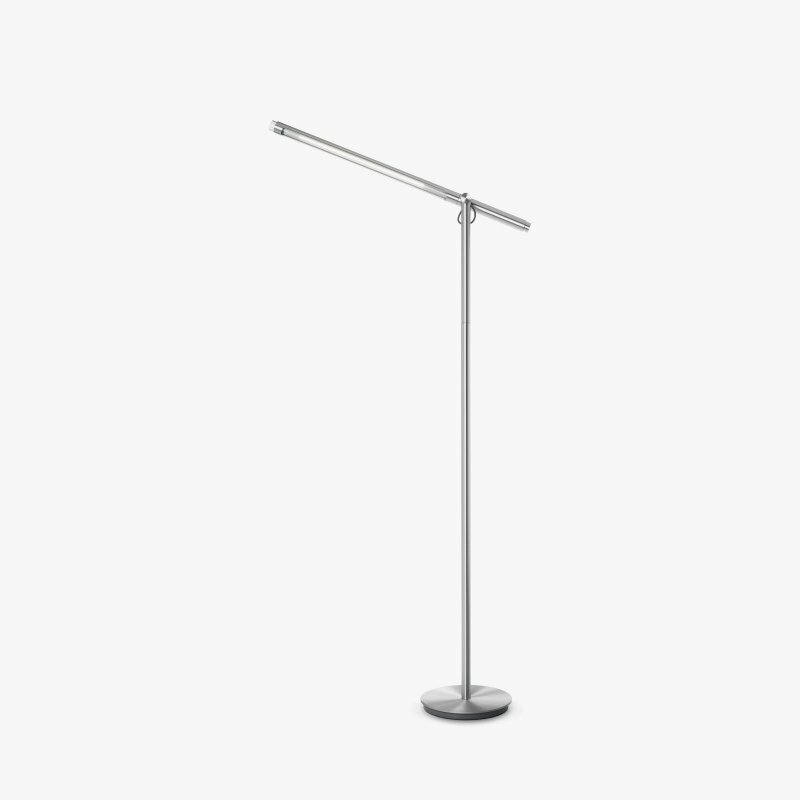 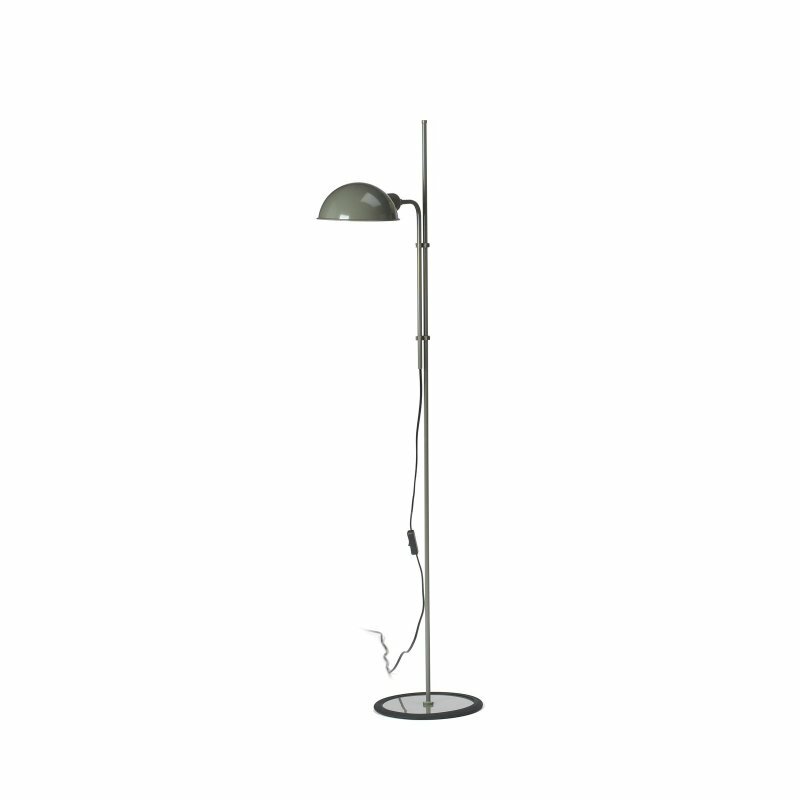 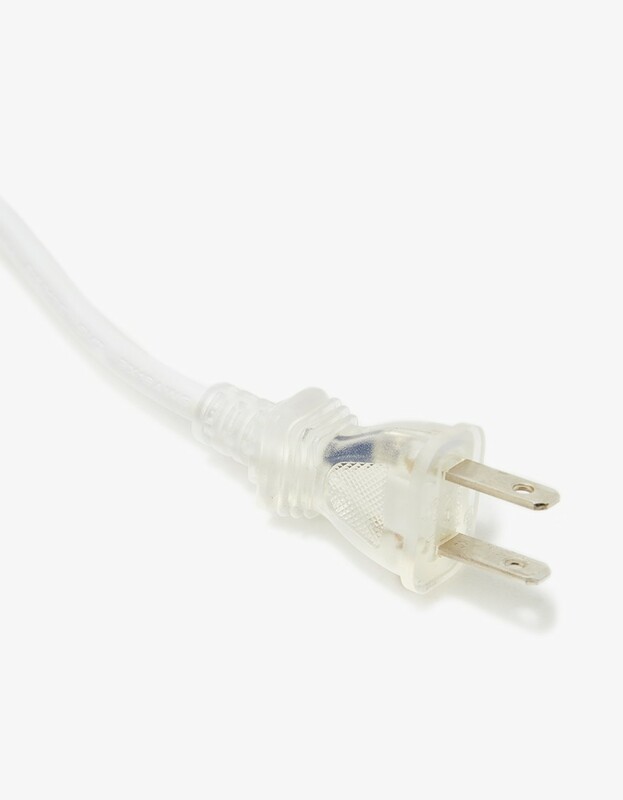 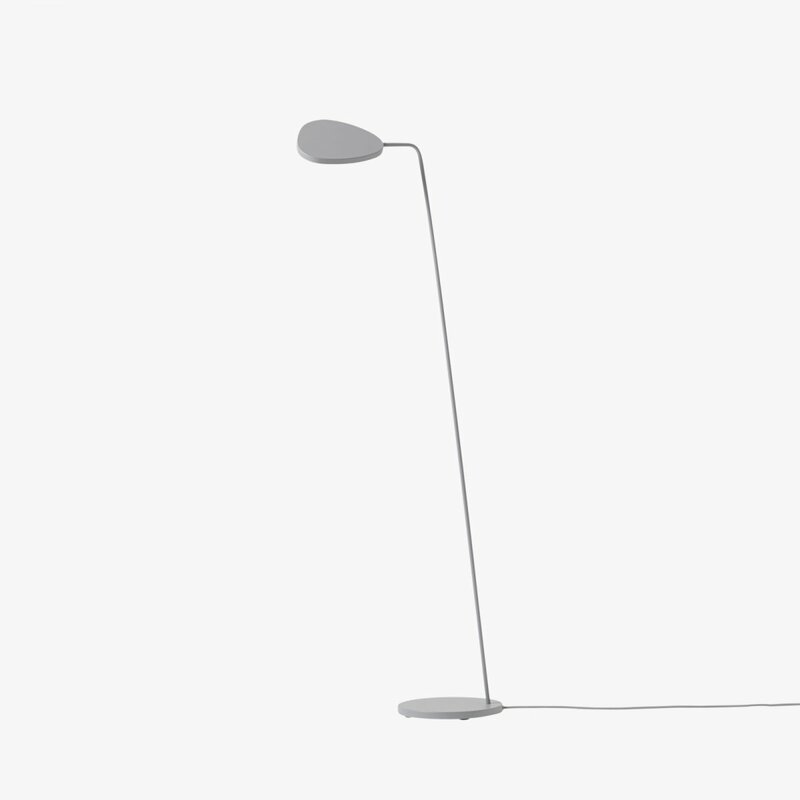 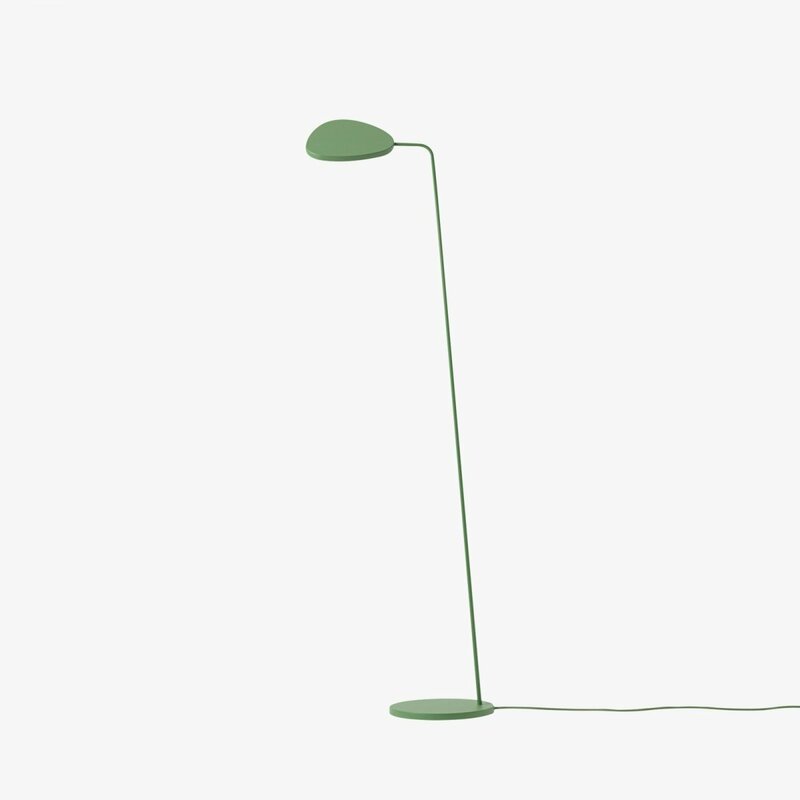 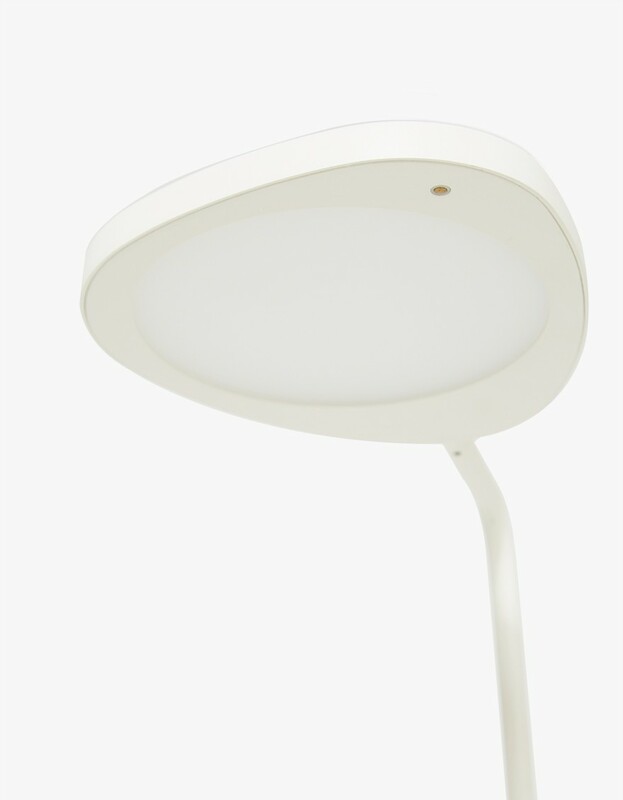 Leaf successfully combines a light and elegant design with an energy-efficient LED technology. 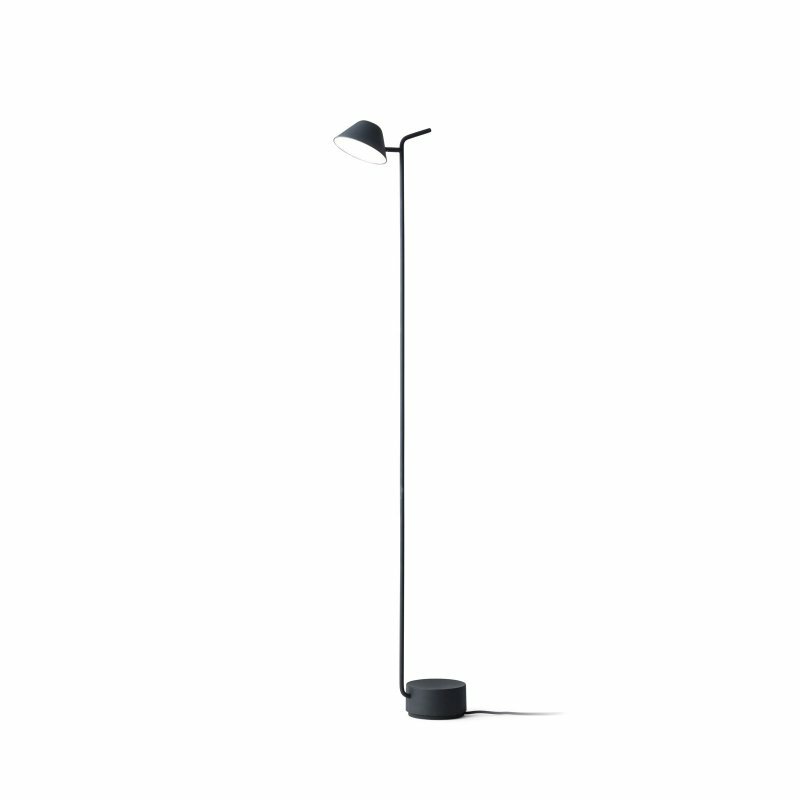 Though the design is minimalistic and straightforward, a soft asymmetric geometry gives the lamp an organic and friendly appearance. 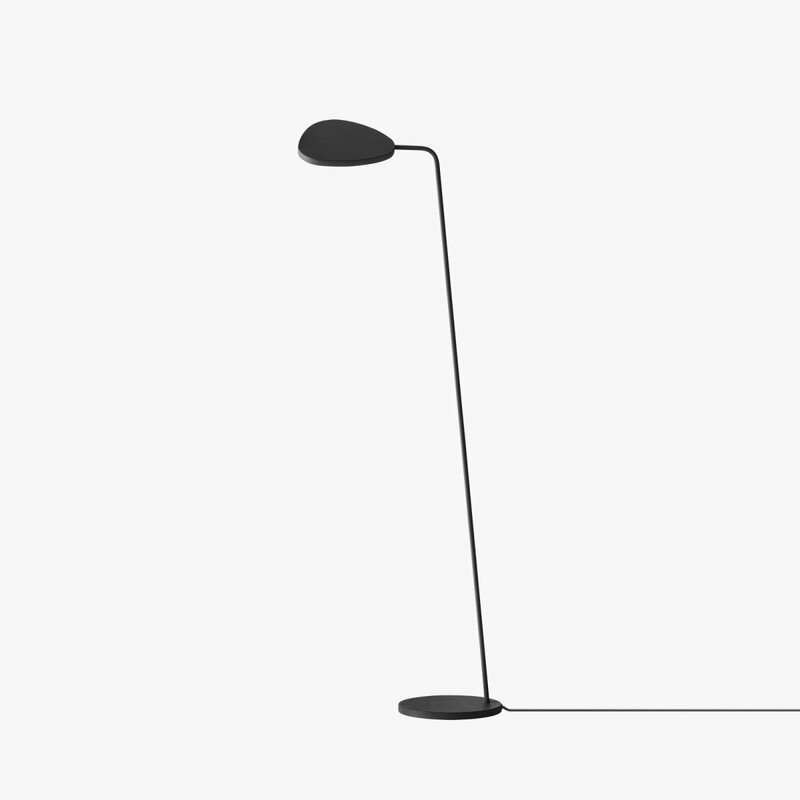 Depending on the viewing angle and how the shade is turned, the lamp will subtly transform it&apos;s shape to create a graphic and leaf-like silhouette in the room.